Home | *Blog | What can we do in one minute? What can we do in one minute? 1,085 people read this post. The Prophet (peace and blessings of Allaah be upon him) said: “When I say ‘Subhaan Allaah, wa’l-hamdu Lillah, wa laa ilaah ill-Allaah, wa Allaahu akbar (Glory be to Allaah, praise be to Allaah, there is no god except Allaah, and Allaah is Most Great)’, this is more beloved to me than all that the sun rises upon.” (Narrated by Muslim). In one minute, you can say the above words more than 18 times. These words are the most beloved words to Allaah, the best of words, and they weigh heavily in the balance of good deeds, as was narrated in the saheeh ahaadeeth. In one minute you can say Subhaan Allaahi wa bi hamdihi Subhaan Allaah il-‘Azeem (Glory and praise be to Allaah, glory be to Allaah the Almighty) 50 times. These are two phrases which are light on the lips, heavy in the balance and beloved to the Most Merciful, as was narrated by al-Bukhaari and Muslim. In one minute you can say Subhaan Allaahi wa bi hamdihi (Glory and praise be to Allaah) 100 times. Whoever says that in one day will be forgiven for his sins even if they are like the foam of the sea. In one minute you can say, Laa hawla wa laa quwwata illa Billaah (there is no strength and no power except with Allaah) more than 40 times. This is one of the treasures of Paradise, as was narrated by al-Bukhaari and Muslim. In one minute you can say Laa ilaaha ill-Allaah approximately 50 times. 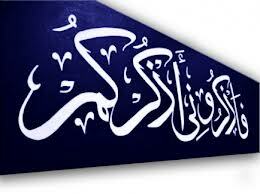 This is the greatest word, for it is the word of Tawheed, the good word, the word that stands firm. If these are the last words of a person, he will enter Paradise, and there are other reports which indicate how great these words are. In one minute you can say Subhaan Allaah wa bi hamdih, ‘adada khalqihi, wa ridaa nafsihi, wazinata ‘arshihi, wa midaada kalimaatihi (Glory and praise be to Allaah, as much as the number of His creation, as much as pleases Him, as much as the weight of His Throne and as much as the ink of His words) more than 15 times. This words bring many more times the reward for other forms of tasbeeh and dhikr, as was reported in saheeh ahaadeeth from the Prophet (peace and blessings of Allaah be upon him). In one minute you can seek the forgiveness of Allaah more than 100 times by saying “Astaghfir-Allaah (I seek the forgiveness of Allaah). The virtues of seeking forgiveness are no secret, for it is the means of attaining forgiveness and entering Paradise, and it is the means of being granted a good life, increasing one’s strength, warding off disasters, making things easier, bringing rain and increasing one’s wealth and children. In one minute you can send blessings on the Prophet (peace and blessings of Allaah be upon him) 50 times by saying Sall-Allaahu ‘alayhi wa sallam (May Allaah bless him and grant him peace). In return Allaah will send blessings upon you 500 hundred times because one blessing brings ten like it. In one minute you can recite Soorat al-Ikhlaas (Qul Huwa Allaahu Ahad) 20 times, reciting rapidly and silently. Reciting it once is equivalent to one-third of the Qur’aan. If you read it 20 times it is equivalent to reading the Qur’aan 7 times. If you read it 20 times in one minute each day, you will have read it 600 times in one month, and 7200 times in one year, which will be equal in reward to reading the Qur’aan 2400 times. In one minute you can motivate your heart to give thanks to Allaah, to love Him, to fear Him, to put hope in Him, to long for Him, and thus travel through the stages of ‘uboodiyyah (total enslavement to Allaah). You could do this when you are lying on your bed or walking in the street. These actions are also among the greatest means of attaining happiness, expanding the chest (i.e., bringing relief and joy) and removing stress and anxiety. May Allaah help us and you to do that which He loves and which pleases Him. May Allaah bless our Prophet Muhammad. Next Be mindful in your treatment of women!